Corian can be made into any shape to fit your needs. Thresholds, trays, borders, shelves…..the possibilities are endless. Send us your dimensions and a drawing and we can create whatever you need for your home. Basic Color Chart available here. Interactive Color Chart on Dupont’s website. Please fill out the Special Order Form and fax it to 970-695-2057. Thank you. Special order your sill, threshold, shelf or accessory by sending us your measurements and a drawing. We can create any shape of any color you need for your home. 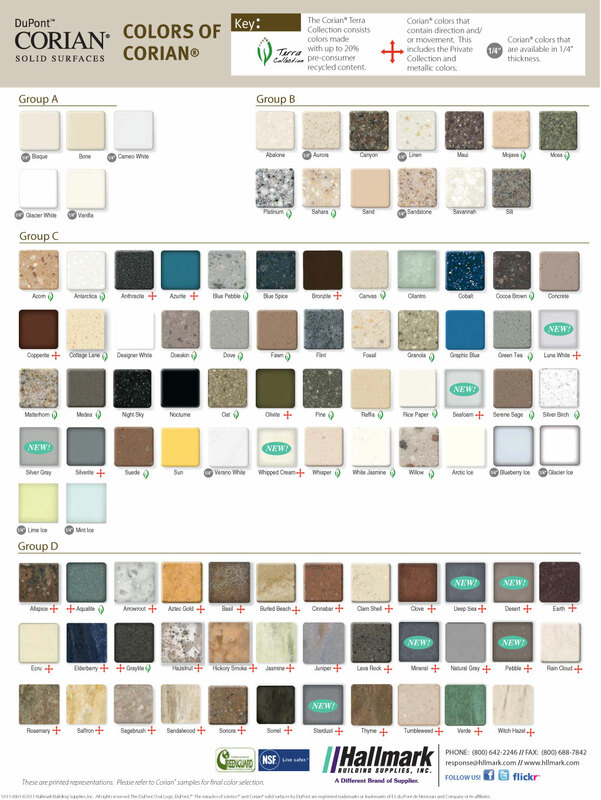 Choose from the range of Corian and HI-MACS color options.